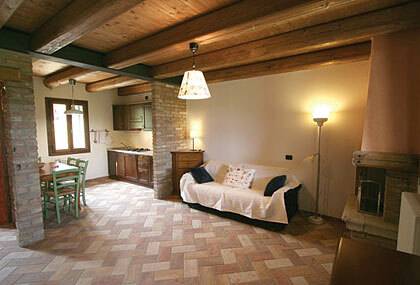 The "Acero Campestre" agriturismo holiday farm is located in the heart of the Colli Euganei. The house is surrounded by beauty; in the middle of greenery, it is a really quiet environment far from traffic, but at the same time very close to the "cities of art" and thermal spa resorts. The house is divided into four apartments. Each apartment has a fireplace and a whirlpool bath, kitchenette, two bathrooms and the possibility to accomodate families. The apartments have the livingroom, the kitchen, two bathroom and the bedrooms. From the apartments you have a beautiful view with all green outside. 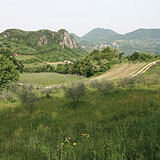 You can make very nice excursions, walking or biking – the place has a lot of really nice paths and tracks. If you prefer to relax only, the place is peaceful and harmonious.